This years event saw more comfortable fishing conditions that the last couple with neither stiff winds nor baking sunshine making an appearance. With up to ten species a day being recorded by anglers practicing for the competition, hopes were high for a bumper catch in this species hunt tournament. Unfortunately many of the 95 anglers found the fishing slow at first, but as the tides picked up so did the fishing. 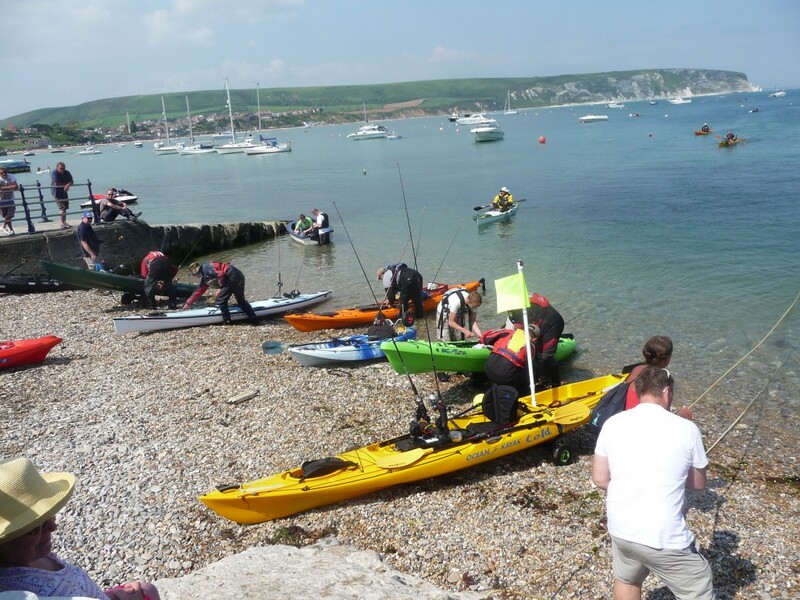 The competition, which is a 5.5 hr Catch, Photo & Release event, saw competitors fishing throughout Swanage Bay. A total of 19 species were caught during the day and several big Undulates were landed, the largest were well into double figures, with Blonde and Spotted Rays also being caught. Best Fish went to Brian Chapman with the only Conger Eel of the day, earning him a Spro rod & reel. However, had the angler who caught a rare Baillon’s Wrasse registered it, that may well have pipped Brian’s fish. 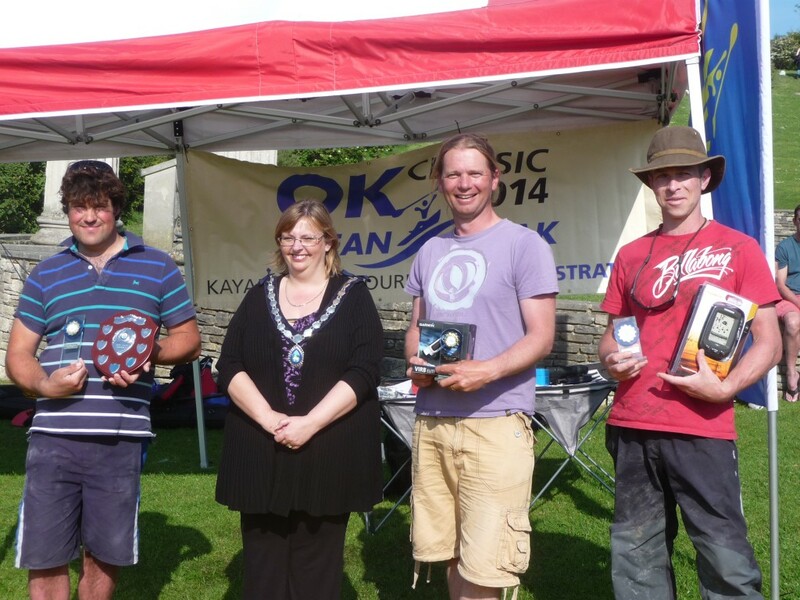 This years event was tinged with sorrow following the lost of kayak competition regular Cam Clearie, who passed away a couple of weeks ago. Three cheers were raised in a fitting tribute to this most knowledgable all-round angler and friend of many of those competing. 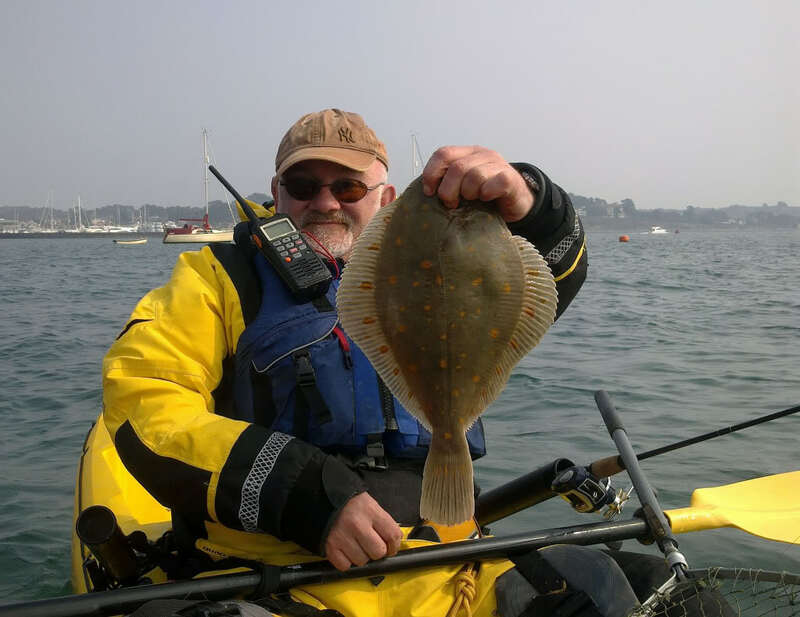 Mark Crane of Lowestoft managed to seek out a Plaice, one of the first of the year from the Bay. Unfortunately prize giving was delayed for over an hour by one angler who didn’t bother to sign back in. As David Morris and the rest of the organisers, along with the Coastguard and Police tried to locate the man, not what you want after over 5 hours on the water and a long drive home ahead of you. Eventually the man, from Weymouth, was contacted before a full search was set in motion. This just highlights how important it is to let someone know when you are going out and to confirm you have returned safely. Coastguards and Police were, shall we say, unamused to say the least. 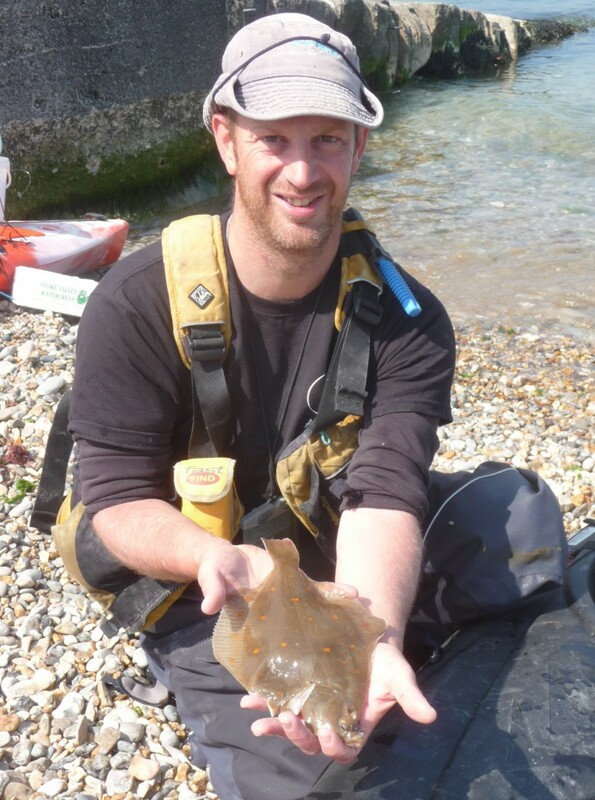 Top place on the day went to local professional fisherman William Chellingworth with a total of 8 species caught. Last years winner, Mark Radcliffe, clinched second place by coming in and registering his catch just before Raymond Cole – both had 7 species. Ryan Turner pipped Andrew Tracey to 4th, both had 6 species each. Top junior this year was Matthew Torrington. There were numerous prizes including the top prize of an Ocean Kayak BIG GAME kayak, a Garmin VIRB Elite action camera, a Hummingbird Fish Finder, a rod & reel for best junior and lots of smaller prizes. All in all this was another great day down in Swanage, with plenty of fish caught, a lot of fun had and the opportunity to meet a friendly bunch of like-minded souls. Bring on next year – I might even get to fish it! 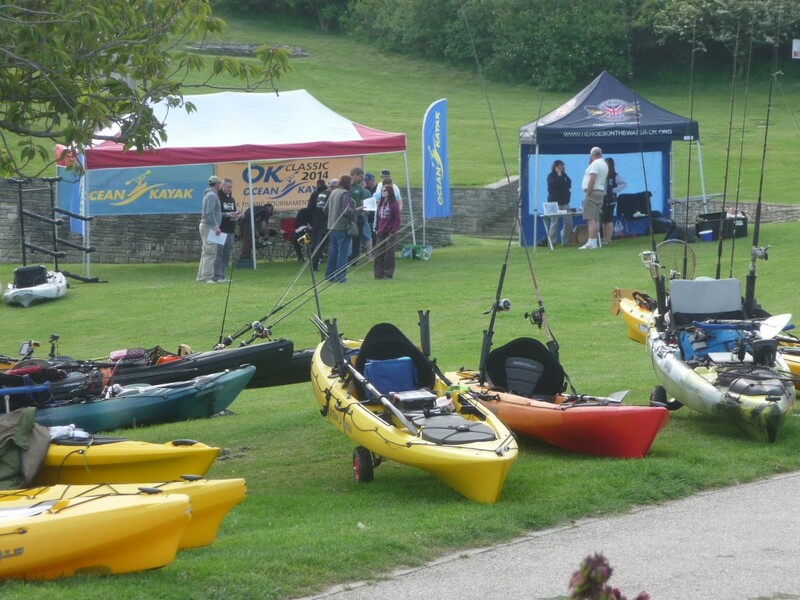 One Response to "Swanage OK Classic Kayak Fishing Competition 2014"
Organizing a competition is really a brilliant idea. We can meet with all kayak’s fishing lover at single point. This is an opportunity when you can learn lots of safety tips for fishing.